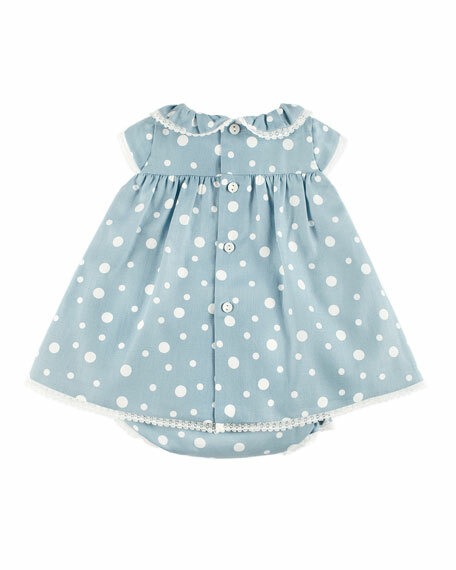 Pili Carrera polka-dot dress with lace trim. Crew neckline with extended ruffle collar. Pleated Empire waist with button detail. For in-store inquiries, use sku #2448729. 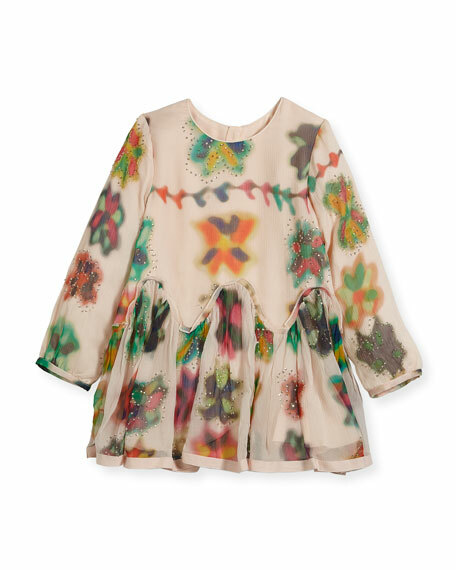 Chloe poplin top with ruffled multicolored collar and watercolor details. Round neckline; self-tie with hanging tassels. Long sleeves; smocked cuffs. Fit-and-flare silhouette. Silk; PVC trim; viscose lining. Imported. 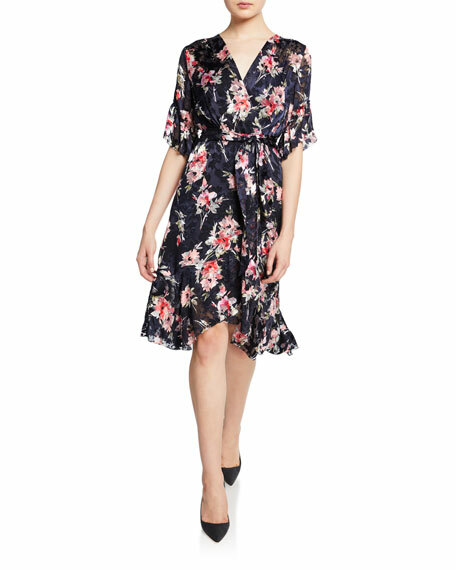 Elie Tahari "Isabelle" floral-print dress with ruffle trim. Surplice V-neckline. Short sleeves; ruffle ends. Self-tie sash at waist. A-line silhouette. Knee-length. Cutaway hem. Hidden back zip. Viscose/silk. Imported. 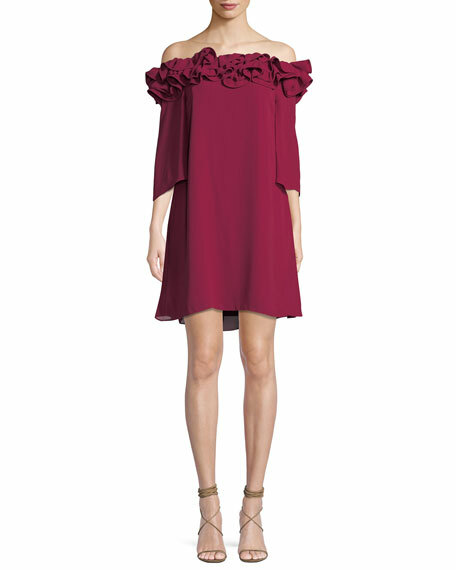 Halston Heritage mini dress with ruffle trim. Approx. 29.5"L down center back. Ruffled off-the-shoulder neckline. Three-quarter sleeves. Shift silhouette. Mid-thigh length. Polyester self/lining. Dry clean. Imported. 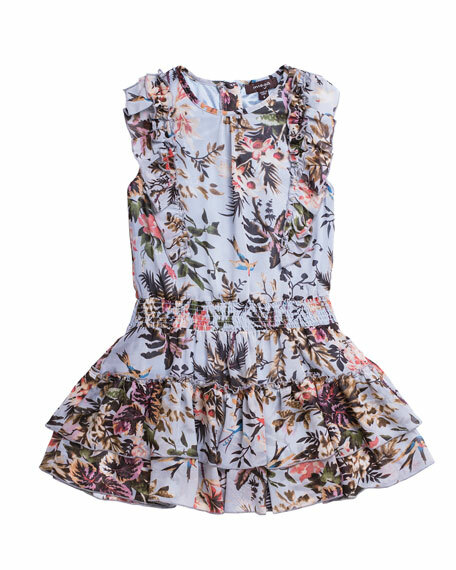 Imoga chiffon dress in bird and floral pattern. Crew neckline. Sleeveless. Button back. Ruffle trim through shoulders and skirt. Shirred, elasticized waistband. Tiered, ruffle skirt. A-line silhouette. Self and lining: polyester. Imported.